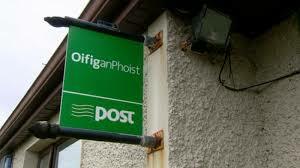 Almost 160 mainly rural-based post offices to be axed. Campaigners protesting against the ongoing closure of the post office network are taking their fight to the Dail. Groups across the country are taking part in the protest planned to coincide with the resumption of the Oireachtas tomorrow. An Post has announced that nearly 160 post offices, most of them rural-based, are scheduled to be shut over the next few months. Fianna Fail leader Micky Martin is meanwhile reported to have said that his party will not be making the mass closure of the offices a red line issue in government negotiations on the budget. However, it’s understood Sinn Fein are proposing to table a motion in the Dail to demand a reversal of the closure decision. Previous PostRoscommon’s Flanagan in rant against Hungarian Prime MinisterNext PostMayo-based judge Mary Devins to retire?